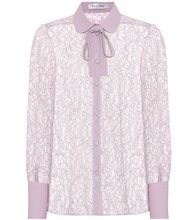 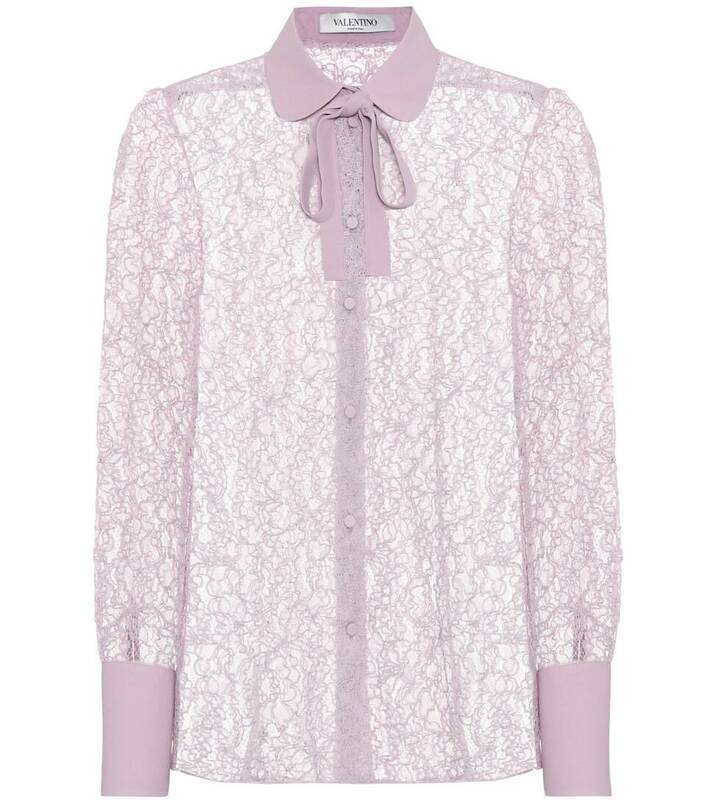 A solid collar and buckle placket with femme ties punctuate this dreamy lavender lace blouse from Valentino with a ladylike finish. 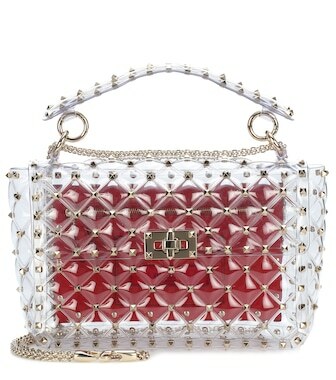 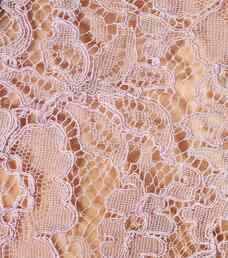 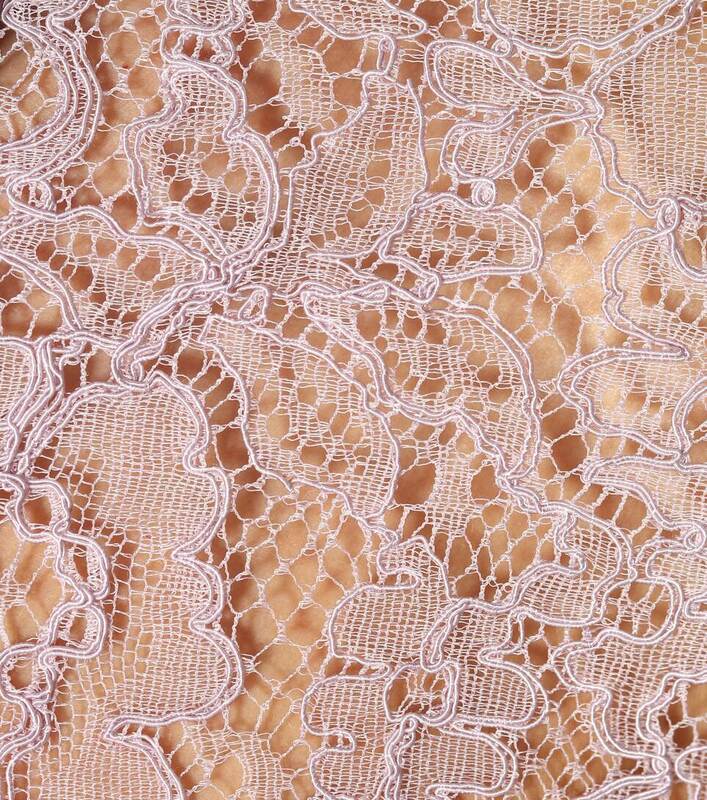 The result is a polished silhouette that enchants with its elegant pattern. 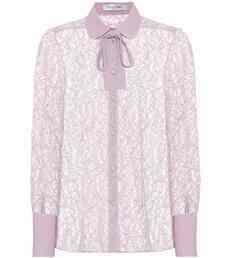 Play up its ever so slightly daring sheerness by wearing it over a neutral camisole with a tonal miniskirt.